A sort of homecoming is the first song off U2's Unforgettable Fire album. 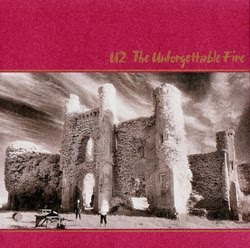 Said Bono of the album in 1987, 'The Unforgettable Fire was a beautifully out-of-focus record, blurred like an impressionist painting, very unlike a billboard or an advertising slogan. ...... In America there was such a backlash when we put out The Unforgettable Fire. People thought we were the future of rock'n'roll and they went, 'What are you doin' with this doggone hippie Eno album?' 'We owe Eno and Lanois so much for seeing through to the heart of U2.' (Brian Eno and Daniel Lanois produced the album and many subsequent records. A Sort of Homecoming also featured on the U2 EP, Wide Awake in America. More Unforgettable Fire Album Lyrics from U2.